So its suppose to be -2 degrees on Tuesday the day I'm off work. Any tips? I've always had luck with a small pop up and a buddy heater next to a picked corn field. Others? I love late season hunting. Mid morning and dusk are my two favorite times. Good luck! Well my hunting is done for this season, but good luck! 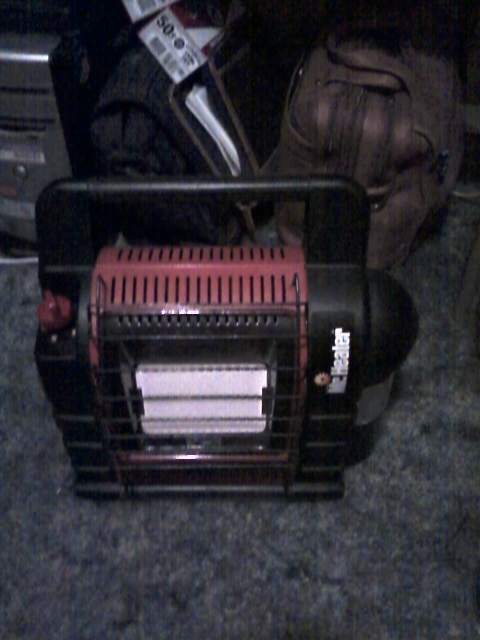 Speaking of buddy heaters,,, my parents bought me one of those this year for Christmas... anxious to use it! Had I went to PA would have been hunting in-35* wind chill, not! ML season is done for me. Not the season I had thought it was going to be nor did it compare to last season. Going to possibly try to crossbow hunt the weekend of the 17th, son thinks we can hunt SE Ohio and he will load the crossbow for me. We'll see. I never even got my flintlock out of the gun cabinet for deer season this year. First time that happened in a lot of years. I only had three days off from work during the entire muzzleloader season & the first day it was like monsoon season here. Then, the other two days the temp was at -18* F so I stayed in the house. I also love Mid morning and dusk time for hunting. Hunting in PA two weeks ago was brutal. Below zero, high winds and about 6" of snow blowing around. I was lucky to tag a doe but missed a 6pt. Deer moved mid day and just before dark. Flintlocks are cleaned and sleeping until next ml season!